Heidelberg's Christmas market offers some 140 stalls along with an ice rink and a carousel for children. The market is open well into the evening through Dec. 22. 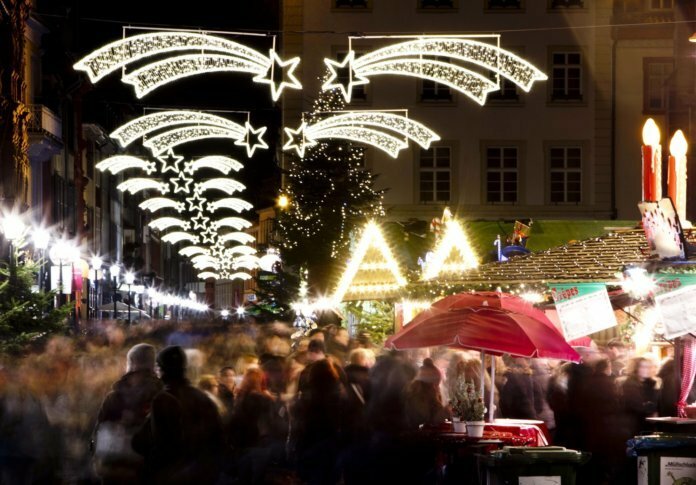 HEIDELBERG, Germany (AP) — Germany’s popular Christmas markets are back in business, and the Gluehwein is flowing in Heidelberg’s old town — under the city’s landmark castle. Spread across several city squares, Heidelberg’s Christmas market offers some 140 stalls along with an ice rink and a carousel for children. The market is open well into the evening through Dec. 22.